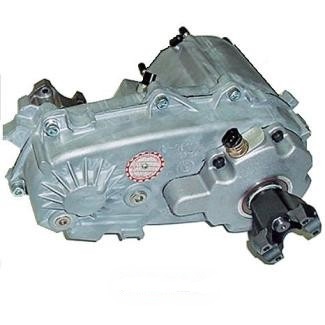 Mechanical part which commonly distributes torque from the transmission to the front and rear drive shafts. In some vehicles, instead of the front drive shaft, the torque is distributed directly to the front drive axles. Take note that in today's all wheel drive vehicles the Transfer Case can be very sensitive to slight differences in tire size, and in some instances different tread depths on same size tires. These differences can cause damage to a transfer case, transmission, differential, and other parts. Buyer agrees to have transfer case installed by a certified mechanic with new fluids as directed by the manufacturer.